After a delayed start with the recent storms, my new Satellite Office is now up and running at the Upper Mount Bethel Township Building (387 Ye Olde Highway, Mount Bethel). The office is open Mondays, Wednesdays and Fridays from 8:30 a.m to 1:00 p.m. and can be reached directly at 570-897-5199. This office is open to serve constituents with a variety of state issues and agencies, including PennDOT, Department of Revenue, Aging and Human Services. My offices regularly help with state benefits, property tax/rent rebates, transportation/drivers license issues and a host of other areas. 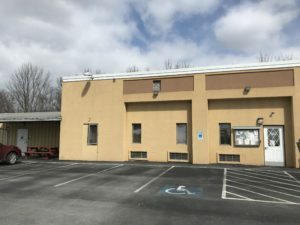 I hope you find my Mount Bethel office a helpful resource moving forward, especially for residents of Mount Bethel, Portland, Bangor and Delaware Water Gap. Please feel free to reach out at any time. I have introduced legislation that would have school buildings used as polling places only as a last resort. Senate Bill 1048 was introduced in response to safety concerns that were raised after a State Trooper was shot during a traffic stop in Northampton County on Election Day, November 7, 2017. All schools in the area were placed on lockdown with the exception of one school, which was placed on lockdown but could not be fully secured due to the location of a polling place within that school building. My bill directs county board of elections to make every effort to avoid selecting schoolhouses as polling places. State Rep. Marcia Hahn has introduced similar legislation in the House of Representatives. Polling places within school facilities pose safety and security concerns for students and school staff by allowing unverified individuals into a building during school hours. Election Day polling places can also be disruptive for a school’s normal operation with the presence of election volunteers, poll observers, and lines of voters throughout hallways waiting to vote during high turnout elections. 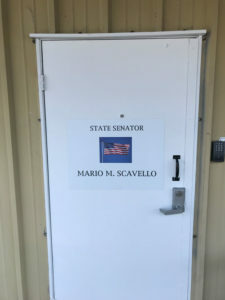 While in some areas of the Commonwealth election officials need school facilities to field a sufficient number of polling places in voting districts, there are areas where alternative locations exist and my legislation would require election officials to seek out those locations first. Legislation I sponsored to allow the use of a leashed tracking dog to track big game which has been legally harvested or wounded was approved by the House of Representatives this week and is headed to the Governor for enactment. Senate Bill 135 was unanimously approved by the Senate last year and received unanimous approval by the House on Monday. Under the current Pennsylvania Game Code, it is unlawful for any person to use a dog in any manner to hunt, pursue or take big game. It is permitted only for wild turkey during the fall season. This legislation would not change the prohibition, rather, it would assist hunters in tracking the harvested game, including deer, bear and elk. The use of properly trained and controlled tracking dogs can prove instrumental in recovering a mortally wounded animal, and greatly decrease the chances of leaving deceased animals unrecovered. This simple and humane change in the law will be of great benefit to both our sporting community and our most valued natural resources, white-tailed deer, black bears and elk. The use of leashed tracking dogs is allowed in approximately 35 states, six of which surround Pennsylvania. Warmer weather will bring increased risk of forest and brush fires, and funding is now available to help rural communities better guard against this threat in forested, undeveloped, and unprotected areas. 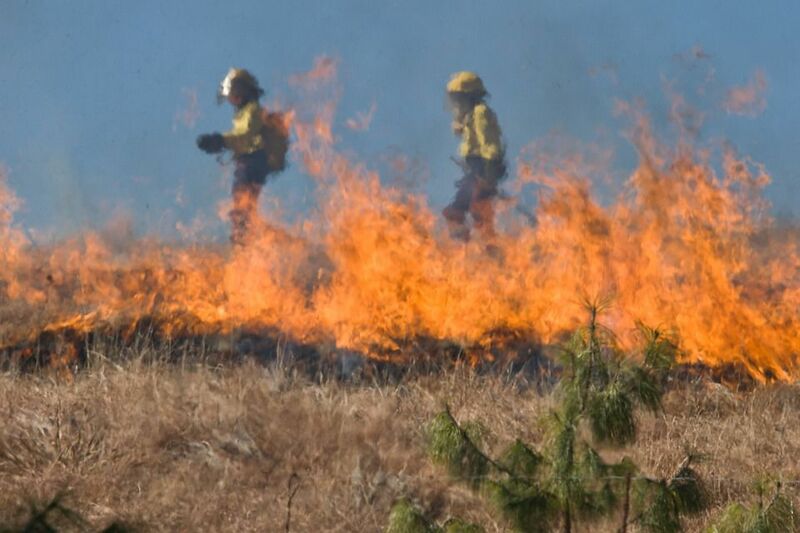 Volunteer companies in rural areas or communities with fewer than 10,000 residents can apply for grants to be used for training and equipment purchases directly related to fighting brush and forest fires. In awarding these grants, the Department of Conservation and Natural Resources prioritizes the purchase of wildfire suppression equipment and protective clothing. Certain vehicle purchases and training are also considered eligible uses of grant funds. The deadline to apply is April 19. More information and online application here. 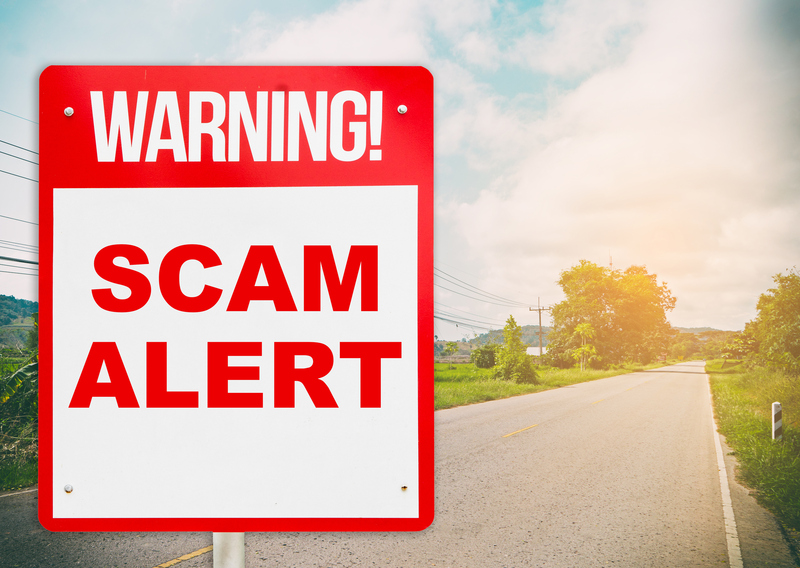 The Internal Revenue Service is reporting a spike in erroneous refund scams. After stealing client data from tax professionals and filing fraudulent tax returns, criminals use the taxpayers’ real bank accounts for the deposit. In one version of the scam, criminals posing as debt collection agency officials acting on behalf of the IRS contacted the taxpayers to say a refund was deposited in error, and they asked the taxpayers to forward the money to their collection agency. Details on this scam, how to legally return an erroneous tax refund, and more can be found here. The melting of snow is revealing litter along our roadways, and the arrival of spring will provide an opportunity for a Great American Cleanup of PA event. During the Pick It Up PA Days from April 7-30, registered events have access to reduced or free waste disposal. You can search for a local event, or find out how to organize and register your own cleanup effort, here. Alcohol is the most widely misused substance among American youth. Medical research shows that the developing adolescent brain may be particularly susceptible to long-term negative consequences of alcohol use. Fortunately, help is available for parents and educators. The federal Substance Abuse and Mental Health Services Administration has useful information to help steer kids away from this threat to adolescent development and health. The Greater Pocono Home Show is being held this weekend, March 17 and 18, at Kalahari Resort. As the largest home show in the Northeast region, the event is designed for homeowners in all stages of remodeling, landscaping and decorating their homes. Make sure to visit the show and see what hundreds of vendors have to offer. Visit poconobuildershomeshow.com for vendor and ticket information.